Hi everyone. This is part four of my series of blogs about the status of the Premiership Clubs of the 2014-2015 Season following the conclusion of the League season. In this, the third part of the series, I’ll be focusing on West Ham United and Everton. Of course, all of this is my own opinion, so feel free to disagree and debate! One set of fans who can feel aggrieved as to how their season has gone has got to be the Irons supporters. They were high-flyers in the early part of the campaign, even being as high as 4th in the table in November, but slumped after Christmas and had a run of really poor form that continued until the end of the season, when they sputtered to a 12th place finish in the table. There were two major reasons behind this: injuries to key personnel and a tactical shift from Sam Allardyce to attempt to accommodate other players, such as Andy Carroll and Kevin Nolan. Nolan will likely be seen as the most disappointing player by West Ham fans and it is also likely that Nolan’s continuous selection by Allardyce even when not in form contributed strongly to the West Ham owners David Sullivan and David Gold not renewing Fat Sam’s contract. Nolan, sadly, used to be a real force in the Premier League for both Bolton and Newcastle United in their spells in the Premier League, captaining both clubs for periods. Unfortunately, Nolan’s lack of mobility has hindered West Ham through the latter part of the season and is a factor in the downward shift of their performances, as his relative lack of pace through the middle slowed down the entire team, as Allardyce likes most of the play to go through Nolan when Nolan is fit. Through the early part of the season, West Ham showed a speedy and skilful attacking game with some new signings like Enner Valencia and Diafra Sakho bedding in early up top with less reliance on Nolan, as well as Stewart Downing showing some great form at the top of an attacking diamond, scoring a number of important goals and assists with strong support from Aaron Cresswell on the left and on-loan Gunner Carl Jenkinson on the right. When Nolan was brought back into the team following a shoulder injury, a formation and tactical change to accommodate him happened and the team initially carried on bringing decent results. Andy Carroll also became available again and showed a brief glimpse of form before his season was ended prematurely by injury, which again necessitated a formation change. Carroll is a decent player but they went back to the old style of lumping the ball towards Nolan and Carroll when those two were playing, who are not the quickest targets, thus killing off the previously speedy counter-attacks that brought West Ham success earlier in the campaign, but are generally decent in the aerial challenge. Nolan was their top scorer in the Premier League in the 2013-2014 season (possibly due to injuries again to Carroll) but only managed one goal this past campaign, as, in my opinion, age and lack of mobility have caught up to him. West Ham’s most impressive players would likely be a three-way tie between their Spanish goalkeeper Adrian, who performed some world-class saves and showed consistency in goal, and the two full-backs Cresswell and Jenkinson, who were both consistent in attack and defence. If Carroll can find some form after this latest injury, as well as keep fit for an extended period, he may be one to watch next season, as he was showing some more subtle touches to his usually combative style of play, which may help West Ham to progress further next season. Cheikhou Kouyate and former Gunner Alex Song also impressed in midfield, particularly in the earlier stages of the season. West Ham will also need to find an upgrade on Mark Noble in midfield, as he didn’t look too impressive there – I think Pedro Obiang and last season’s signing of Diego Poyet, son of former Uruguay international Gus Poyet, may well be the replacements for Noble and Nolan. West Ham may also need to shore up the full-back positions, with few current options there aside from Cresswell and O’Brien, with Guy Demel having already departed the club and Jenkinson returning to Arsenal after his loan spell. Slaven Bilic, the former Croatia National Team manager, was recently appointed as the new West Ham boss and has, by some accounts, already signed the former England International Chris Woods as goalkeeping coach, so he may move quickly to address the deficiencies in the playing staff too. Found Out in season 2? Roberto Martinez’ second season will be seen as a disappointment for fans of the Toffees, with some really poor showings on the pitch up to February, as well as on-pitch conflicts between players not helping matters. Everton were expected to challenge for at least a top 7 finish at the start of the season, especially after spending 28 million Pounds on Romelu Lukaku, who had been impressive on loan during the previous season at Everton from Chelsea. Lukaku had a pretty average season but scored a number of goals which kept Everton from finishing lower in the table. Much was expected of Ross Barkley too, who failed to sparkle this season due to a combination of injuries and loss of form. Leighton Baines also had his poorest season at Everton, despite getting 8 assists in the Premier League – his previously excellent delivery of set pieces quite literally went to pieces! Phil Jagielka, the Everton captain, was also poor in the first half of the season but recovered well and could possibly be seen as one of the catalysts for the improved results from February. Tim Howard, too, had a disappointing season in goal, but this was bound to happen at some point as he has been an exceptional performer for a number of seasons for Everton so he was bound to have one poor campaign. Gareth Barry was a passenger for many matches, having played well in the previous campaign – it’s my opinion that his age is starting to catch up with him as he was very one-paced and seemed to not be able to change things up during matches. Antolin Alcaraz often looked weak and has since left the club, following long-time Everton servant Sylvain Distin (now aged 37) out the door at the end of the season. Seamus Coleman, one of Everton’s most important players, was also poor for much of the campaign. Everton’s most impressive players were the no-nonsense Muhamed Besic, the tireless James McCarthy, the creative long-time Club servant Leon Osman, whose inclusion showed a marked rise in average points scored for the team for every match he started in over the occasions he did not play or start in and the young centre-back John Stones, who looked very good in his first appearances for the first team in the previous campaign too. Everton are a team who usually defend well and they did not defend well at the start of the season, conceding a number of sloppy goals due in fault to both Tim Howard and the defence in general, which ultimately put paid to their League chances, something which did not happen often under the previous manager David Moyes, who now manages Real Sociedad in Liga BBVA in Spain. Martinez has to get his team to defend better for next season for them to finish close to or in the Europa League places, which, due to Everton’s perennial precarious financial nature, is essential to the survival of the Club. To this end, in my opinion, Everton need at least 2 quality centre-backs to replace Distin and Alcaraz and augment Jagielka and Stones. Everton have already captured midfielder Tom Cleverly on a free transfer from Manchester United, indicating that Martinez is looking to take pressure off of Osman and Barkley in the midfield creator department and possibly off of Gareth Barry too in the box-to-box position. Do you agree? Tell me what you think! The first time I saw Dennis Bergkamp play was in 1996 - I started following Arsenal properly in 1998 after the World Cup. When Arsenal then signed Thierry Henry - a player I had seen in that World Cup win by France - as well as already having Vieira and Petit there, plus several English stars like Tony Adams, Martin Keown and David Seaman just cemented Arsenal as the club for me. There was very little football coverage in South Africa during the 1990s as rugby was (and still is) the dominant sport here. I was not really ushered in any specific direction in terms of which club to support - I chose Arsenal myself. It's only over the last 3 years that I have been able to watch matches regularly - we get excellent TV coverage of European football now and I try to watch all Arsenal matches live. 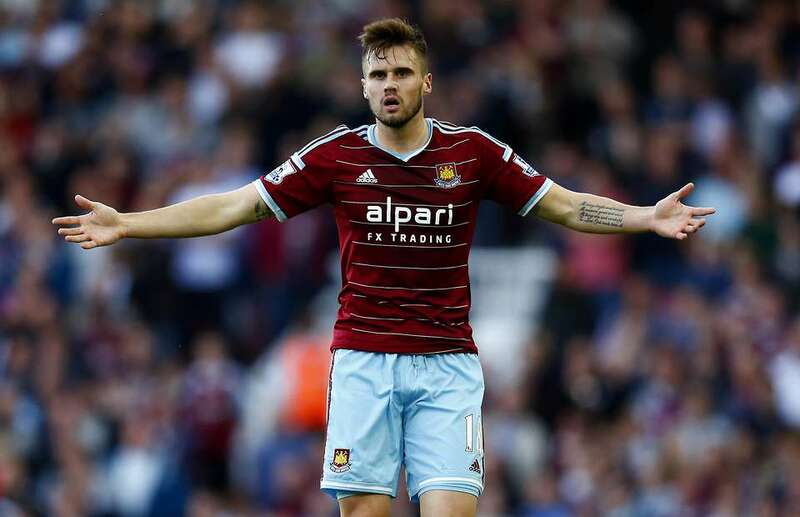 King Jenkinson: the man who succeeded where all else failed. Arsene Wenger needs to go – but who should he take with him? “I have a little coq…” says Arsene Wenger…..
Are Arsenal eyeing the next Senderos or Djourou or the next Shaqiri in Switzerland and is it Embolo?